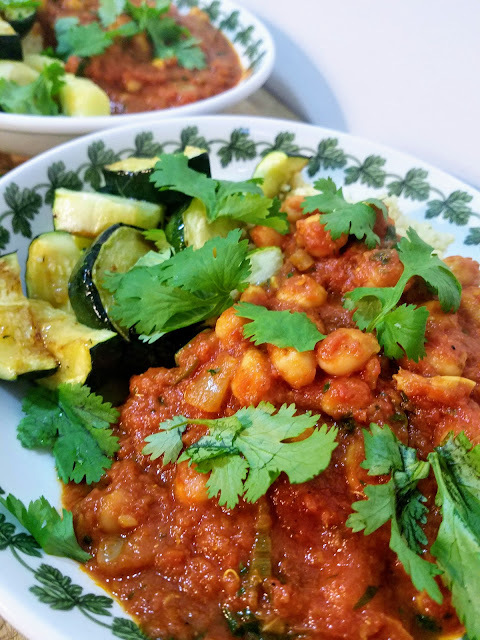 I'm on a bit of a homemade Indian food kick lately, and since I still have the spices handy from my Chicken Tikka Masala recipe (hubby's fav), I decided to try MY fav, Chana Masala. 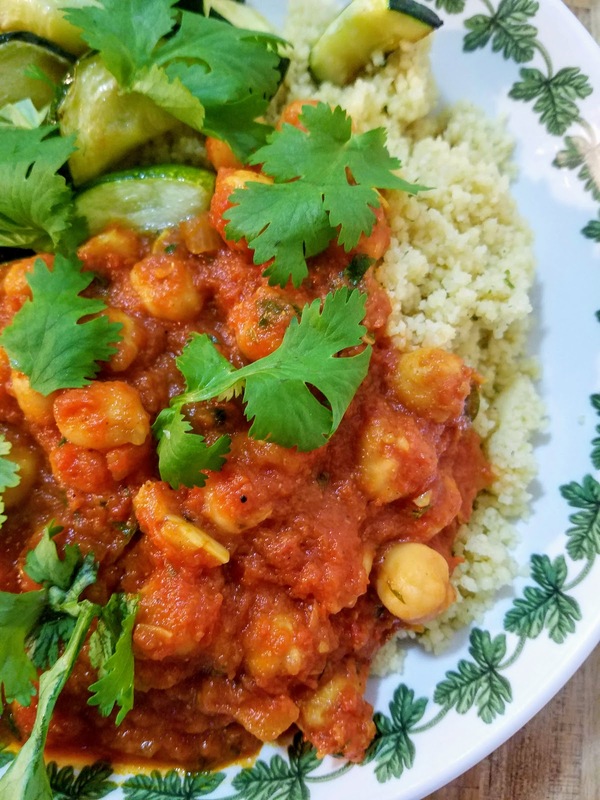 This is a slightly spicy, tomato-based chickpea dish that's wonderful served over rice or couscous. It's fragrant, warm, simple, and perfect. 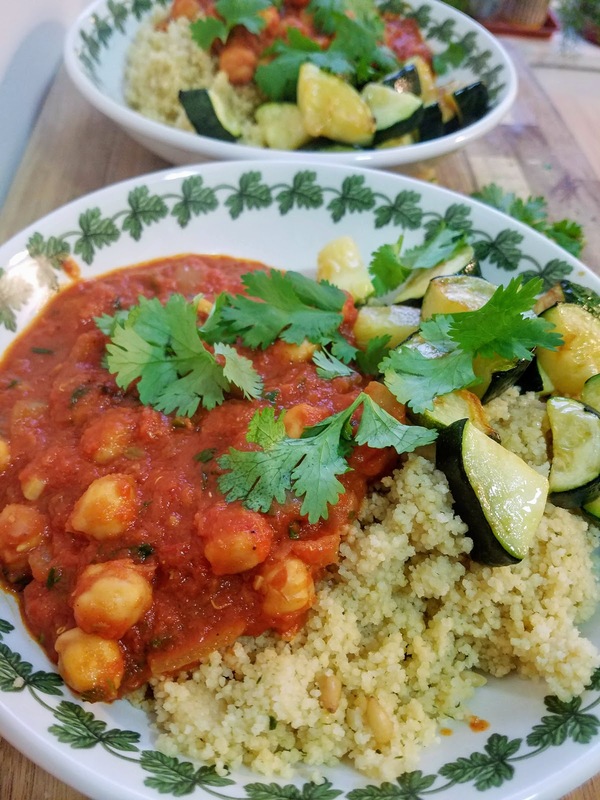 This dish has great protein and is accidentally vegan...which I love! It always feels like I'm getting away with something sneaky when a dish is already vegan. 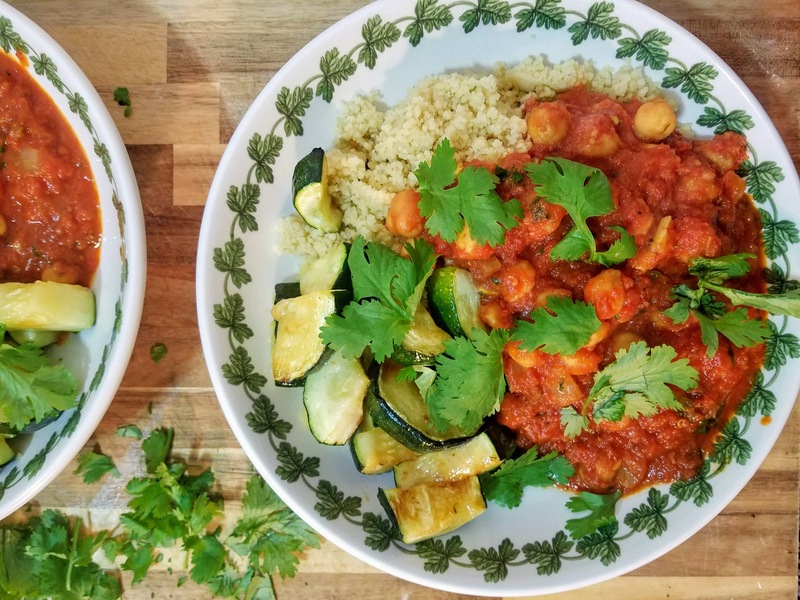 It's also super healthy, and very affordable to make. 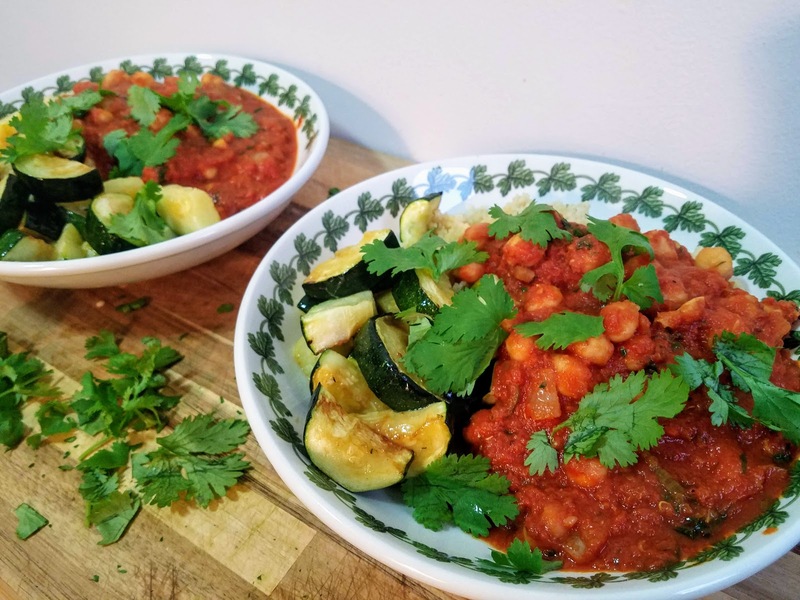 I'm definitely not an expert in Indian cuisine, but I really enjoy experimenting with the delicious warm spices and recreating my favorite Indian restaurant's dishes in my own kitchen. You should give it a try too!